UFO member in the Dominican Republic, Caribbean International Cargo (C.A.I.N.C.A.) is a full-service transportation company who pride themselves on providing a prompt, efficient, reliable service to all their clients. The company was formed in 2000 as a customs broker, and a few years later in 2002, the company also started providing full freight forwarding services. 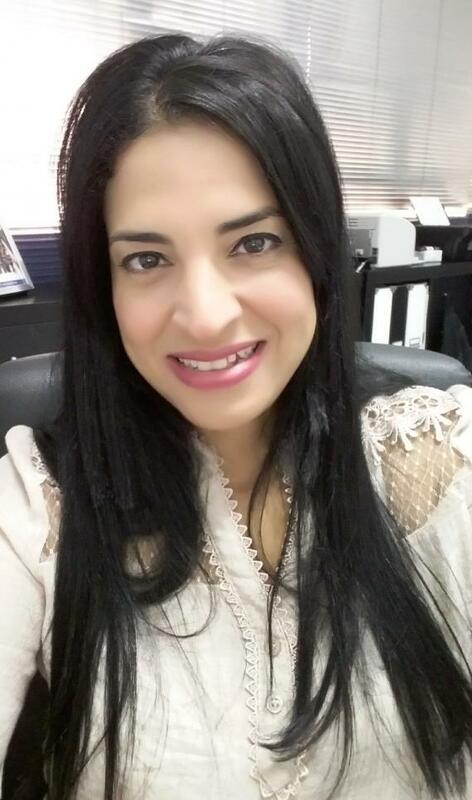 This month, we will be interviewing Claudia M. Benitez Caro (Operations VP) of Caribbean International Cargo. It was back in 1999 when I received a job offer in a freight forwarding company. Although I did not have any experience in the field, I was hired! I loved it right away, so I got very enthusiastic about the work - all the follow up to shipments and being in contact with so many different people from around the world was really very exciting to me. During all these years in the industry and importing and exporting constantly, it is really very difficult to pick a memorable shipment, there are so many that really brought me satisfaction. But I think the huge water treatment plant, we brought from Sweden, is very special. It was a big stainless steel tank which would provide clean water to a whole new Villas project that was being developed at the time in Punta Cana. Terms were EXW so we had to be involved all the way. We suffered lots of tension and stress during the loading of these 2 x 40' HQ containers but every time I pass by it now, I wink at it proudly. Definitely my biggest motivation is our customers' satisfaction. When the cargo is successfully received by them, those 'thank you's' sound wonderful. The word embarrassing takes me to a very important shipment from Italy that contained all the goods and clothing for a new fashion store to be launched in the early days of November 2012. The 20' container simply did not arrive - It was left behind in the shipping line yard in Panama due to a vessel shortage they had at that time along with many others from other customers. However, this one had an inaugural ceremony scheduled with the press and everything. I cannot describe what a frustrating, angry, disappointing and embarrassing moment this was for us. It took a total of 50 days to finally reach the POD. But due to our professional response to the problem, in the end we did not lose the client. What are the current trends that you see in transportation as far as the Dominican Republic is concerned? What is its untapped potential? A current trend here in the Dominican Republic is developing exports of our national products such as fruits, vegetables, cigars, chocolate, avocados, coffee, etc. by encouraging producers through conferences, workshops, government loans and so on. This is our untapped potential - we are like an unpolished diamond and my country can accomplish a whole lot more! During my spare time I go to the gym - this is where I completely unplug from work and it is like a switch I can turn off. It takes all the stress away and gets me ready for the next day. I enjoy it very much and I also ride my bike sometimes which allows me to be in touch with nature, which I love. I would like to see Caribbean International Cargo with a branch in Cuba. The country's positive changes are very promising so we of course want to be right there where new and favourable opportunities will flow.